If you’re ready to stop living with pain, you’ve come to the right place. 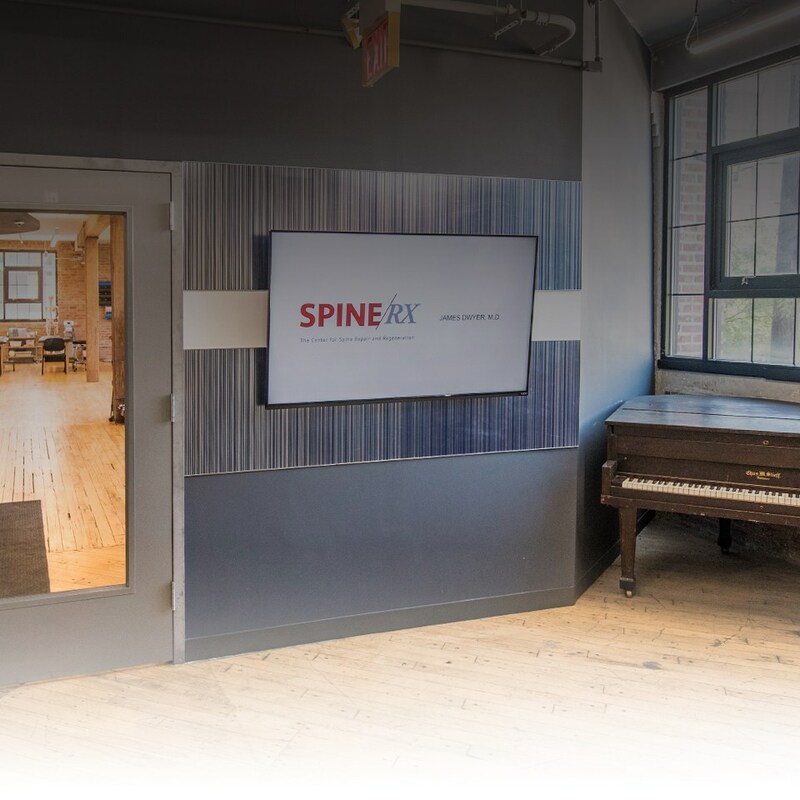 Our state-of-the-art New Jersey SPINE/RX office location is easy to reach via NJ Transit train, PATH, bus, and light rail from Hoboken, Jersey City, Newark, Bayonne, Union City and throughout Northern New Jersey. Additionally, parking is available behind our office. Our dedicated surgical and office teams are committed to relieving your pain, without adding stress to your life. You can reach out to us with your questions or concerns by phone or email. We also invite you to check out our Frequently Asked Questions, where we cover a variety of important topics.. The medical professionals at SPINE/RX will make sure you receive world-class service on your journey to pain relief. You can also take the PATH train from Manhattan, Jersey City or Newark. The light rail from Jersey City or Bayonne. The NJ Transit route 126 bus runs from Port Authority to Hoboken. You can exit the bus near our location at Washington St. and 9th St. then walk west on 8th St. until you reach Monroe St.
NY Waterway also provides ferry service between New York City and Hoboken. Once in Hoboken, the NJ Transit local route 87 bus will deliver you just one block from our Monroe St. location (at 8th St.). Taxis are available during most transit hours for a nominal charge. You can walk to our location by traveling north on Hudson St. to 8th St., and then walking west until you come to Monroe St. (about 15 minutes). Another option is to take the light rail to 9th St. and then travel one block east and one block south to our office. The city of Hoboken provides an easy-to-use transit map online, for your convenience. Parking is available behind our office in a small parking lot. You can find the lot by driving west on 8th street. This one way street will wrap behind our building and you will enter the parking lot on the left. Please call our office if you need any assistance.